This year, Race 1 of Thursday’s Budweiser Duel will feature not only a race to make the Daytona 500, but also a unique battle between four likely competitors for the 2014 LASTCAR Cup Series Championship. With 49 cars competing for 43 spots, which of these four drivers makes the field and which do not could have a significant effect on this year’s LASTCAR championship battle. Last year, Randy Humphrey was the co-owner of Humphrey-Smith Motorsports, which campaigned #19 Toyotas from Mark Smith’s TriStar Motorsports shop. The #19 appeared headed for the 2013 LASTCAR title with drivers Mike Bliss and the late Jason Leffler racking up a combined six last-place finishes in the first nineteen races. 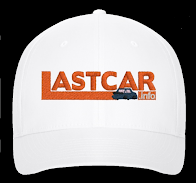 However, the team ceased operations just before the Chase, and they lost the LASTCAR title as a result. This year, Humphrey returns as the sole owner of his own team. The #77 Fords Humphrey purchased from Germain Racing after Germain’s switch to Chevrolet will be driven by 2009 LASTCAR Cup Champion Dave Blaney. Blaney, ousted from his ride at Tommy Baldwin Racing to make way for rookie Michael Annett, carries sponsorship from Plinker Tactical, whose decals have been on Humphrey’s rides during their past “start-and-park” efforts. Blaney has been off to a difficult start this season as he aborted his qualifying run on Sunday before he could take the green flag. If Blaney is going to make his fourth consecutive start in the 500, he’ll have to find some speed on Thursday during Budweiser Duel Race 1, where he’ll start in the 25th and final spot. 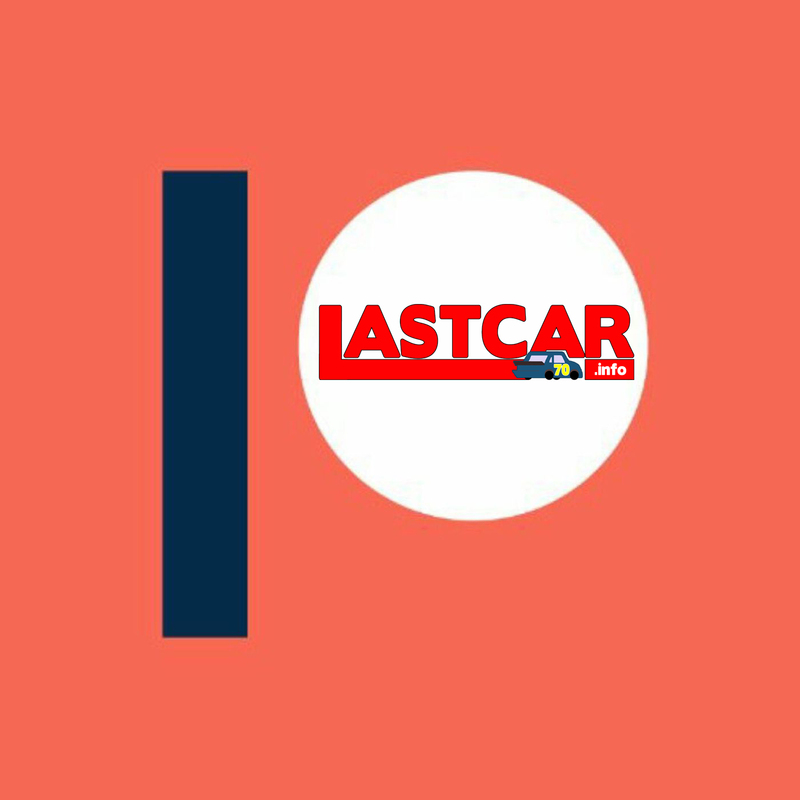 Joining Blaney in Race 1 in the 21st spot is Michael McDowell, who this year goes for an unprecedented fourth consecutive LASTCAR Cup Series Championship. McDowell’s three previous championships came while driving for Phil Parsons, including his 2011 run in the #66 HP Racing Toyota co-owned by Randy Humphrey. In 2012 and 2013, McDowell and team showed marked improvement, thanks in part to Mike Curb taking over Humphrey’s interest in the renumbered #98 team. This culminated in McDowell’s 9th-place finish in last year’s Daytona 500, followed by a 15th last fall at Talladega. This year, McDowell and Parsons have parted ways. The Phoenix driver now comes to Daytona in the #95 Leavine Family Racing Ford, a ride vacated by Reed Sorenson, who now drives the #36 Chevrolet for Tommy Baldwin. This Sunday, McDowell carries sponsorship from longtime backer K-LOVE, a Christian radio station which followed McDowell from the Parsons team. K-LOVE will also sponsor McDowell at Sonoma and a third race, possibly Talladega. Associate sponsorship has also flocked to the Leavine team through both Black Dragon Tools and Wiley-X sunglasses. Although the team only plans on running 20 races this year, this upward trend in sponsorship could mean we’ll see McDowell parking in fewer races, and finishing last fewer times. 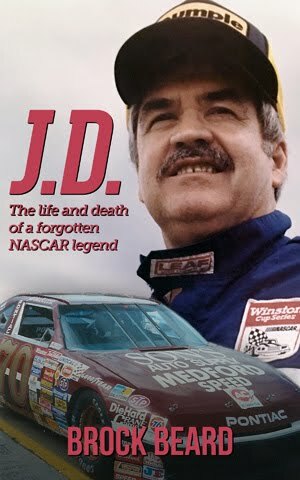 If this is the case, the 2014 LASTCAR title could be anyone’s to win. One of the favorites for the 2014 LASTCAR championship has to be Josh Wise, who takes over McDowell’s ride in the #98 Phil Parsons Racing entry. As a rookie in 2012, Wise cruised to an early lead in the LASTCAR standings, scoring three of the season’s first twelve last-place runs, including a weekend sweep at Bristol, while driving Front Row Motorsports’ #26 Ford. However, like the #19 team last year, Wise lost ground to McDowell and Humphrey-Smith’s driver Reed Sorenson in the final stages of the season, setting up McDowell’s bottom-ten tiebreaker at Homestead after Sorenson’s DNQ. This year, the union of Wise and the still-unsponsored #98 Ford could mean a fourth consecutive title for Parsons, not McDowell. On Thursday, Wise will start between McDowell and Blaney - 22nd - in Budweiser Duel Race 1. But when talking about finishing last at Daytona, one cannot overlook two-time LASTCAR champion Joe Nemechek, who will also compete in Race 1 in the 23rd spot. Nemechek, who leads all drivers with three last-place finishes in the Daytona 500 (1995, 2010, 2013), enters the 2014 season with yet another adjustment to his self-owned team. Following his merger with Jay Robinson Racing in 2013, Nemechek will now aid Michael Waltrip Racing in keeping the #66 team up in the owner points for co-drivers Michael Waltrip and Jeff Burton. While Nemechek will run the #66 in the majority of his races this season, starting next week at Phoenix, he will again field his familiar #87 this weekend. Perhaps due to his association with Hollywood businessman and part-time racer Tomy Drissi, Nemechek also carries sponsorship from the upcoming film “300: Rise of an Empire.” Last year, Drissi drove Nemechek’s cars at Sonoma and Watkins Glen with similar schemes for “The Wolverine” and “The Counselor,” respectively. Whether this funding will be enough to get Nemechek into his fourth consecutive 500 - and if he can prevent another early exit - is anybody’s guess as he, Blaney, McDowell, and Wise will all be fighting to get into the field in Thursday’s first Budweiser Duel. Blaney does not have a backup car after his practice crash & has withdrawn. Such a shame, isn't it? 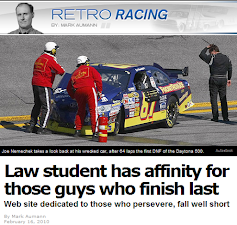 Glad I decided to write this article on Tuesday instead of Wednesday - Blaney's had a lot of good runs here. Hopefully the 77 team will be able to rebound at Phoenix.